We all want to create animations, but not everyone knows how to make them like a pro! Regardless if you are created an animated video as part of your content marketing efforts or simply making a video to show off to your friends, you want it to look good! We put together this blog to help guide you through the process of not just creating an animated video, but making sure it looks professional! Planning is by far one of the most important, yet unappreciated stages in any video creation process. Having a great plan separates the average animated videos from the beautiful professional ones! During your planning stage, try focus on two main areas: Audience and goals. The first being “who is my target audience?” You need to understand your audience to make sure you know what works for them. Great animations are the ones that take into consideration what their end viewers want to see and what motivates them to act. The second step in your planning stage is “ what are my goals and objectives”? Having set goals gives you an understanding of what you want your created video to achieve. Your goals will help guide your animated video into a clear direction. Onto the next step, writing your video script. For some of you, script writing can be much more challenging than actually animating your video. We previously wrote a blog on how to write a great script for your video marketing campaign that you may find useful. Address your audience and write in a conversational manner. 20% of your viewers will close your animated video after 10 seconds. Ensure your script is brief. Make sure you script every word. Trust us; this will help create your video in a more efficient manner. End your video animation script with a clever call-to-action. A storyboard allows you to truly visualize how your created animated video will look before you have to dedicate some serious hours and resources. Start by identifying the key scenes in your animation story. Add your script to each scene, and then proceed to sketch your thumbnails in each square. It’s important to remember that a storyboard is a plan. You don’t have to go into incredible detail. Just make sure it’s easy to understand and helps direct your story. Step 4: Animate your story! Now that you have all the appropriate steps in place, you are ready to turn your ideas into a professional looking animation. First things first, identify a style of animation you wish to use and stick with it. Having consistent style tends to display a more dynamic look. With Moovly, you have access to six different animated libraries and over 1000 pre-animated assets. Take a look! There you have it. 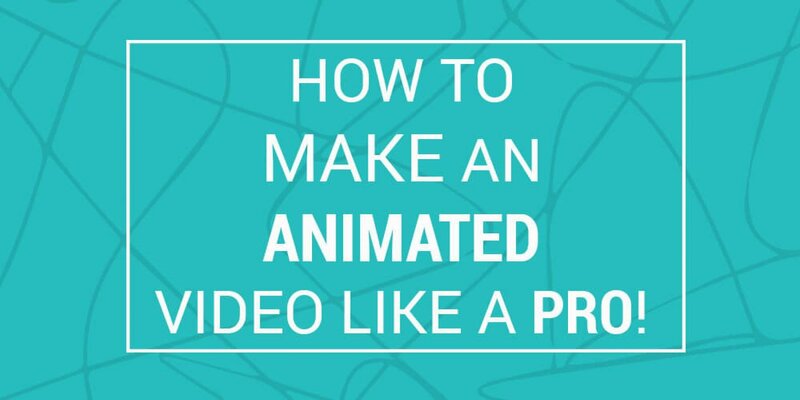 Our 4 step guide to creating a professional looking animated video. Moovly is free to all. All you need is a working browser and active internet browser for you to get started on creating your animated videos like a pro!